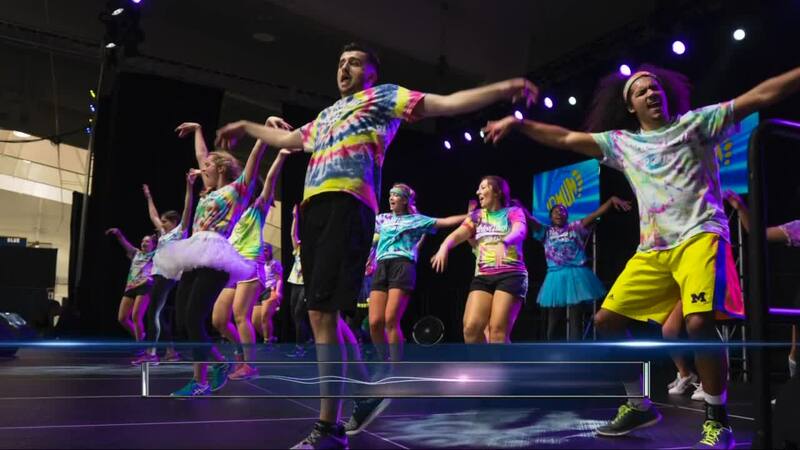 ANN ARBOR, MICH (WXYZ) — Dance Marathon at the University of Michigan, or DMUM, is a student-run, non-profit organization that seeks to raise funds and awareness for pediatric rehabilitation programs at C.S Mott and Beaumont children's hospitals. Through DMUM, hundreds of students have the opportunity to connect with the 42 families that the organization supports, and to experience the tangible difference that DMUM has made on their lives. On March 23rd and 24th, those students will be participating in DMUM's final annual fundraising event, VictorThon, where they will stand for 24 hours in support of this cause.